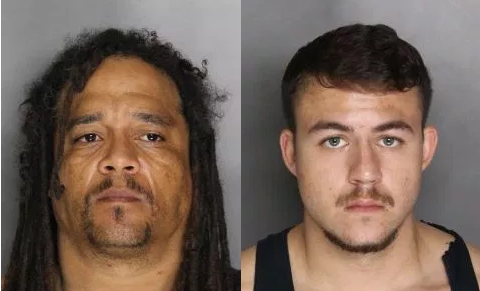 Two men were arrested after one was found to be in possession of 10 pounds of marijuana after a traffic stop in Elk Grove. Just before 6 p.m. on Monday, July 23, a vehicle operated by Craig Matthew Jennings, 48, of Sacramento was stopped near Lujan Drive and Terra Linda Drive for a code violation. A record check revealed Jennings was on probation, and a search of the vehicle led to the discovery of the marijuana. A search of a passenger in the car, Sabian Zakory Quesada, 20, of Sacramento led to the discovery that he was in possession of several prescription medicines not in his name. Both suspects were arrested and booked into the county jail. Jennings is held on a bail of $195,000, and Quesada's is $45,000. Both suspects will be arraigned on Wednesday, July 25.